Are you in love with Instagram as much as I am? 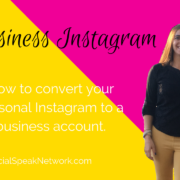 Are you a business owner that has an account on Instagram and not sure how to build your business on it? Don’t worry I am here to help! Instagram is used by 31% of American women and 24% of men. Read more stats here from Hootsuite. Now that we have those stats out of the way, it is clear that Instagram is the place to be! It is also owned by . . . what’s that social media platform that has the blue f on it??? Oh yeah FACEBOOK! The two of them got hitched in 2013 and Instagram has grown into this beautiful, amazing beast of a social media platform! What does this mean for your business? Nothing really if you are not posting correctly! 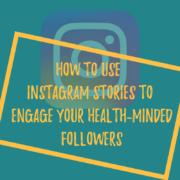 There are many different ideas, ways and theories out there about how to post to Instagram page and what will work best. I wish it was that easy to say ok if you follow these 3 steps your Instagram account will grow by hundreds, you will see an ROI right away and it is SO easy! BUT there’s not, the only way to see what will work for your business is to try each of them! 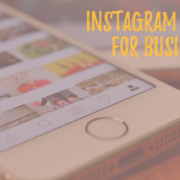 Each business is different and their audiences are different, the key with Instagram is to make your posts visually appealing that it draws your audience in, to get them engaging on each post. Either by liking the post, commenting or even reposting. All you need is a smartphone! That is great news right? There are so many different apps that really do the work for you nowadays. The camera on your smartphone will work perfect, you just need to be creative. You may need to spend a few bucks for a simple background like buying a piece of foam board and covering it in marble contact paper so it looks like you have a marble countertop, or purchase a small tripod to help keep steady while taking images, go to the dollar store and find a few fun props if needed. I want to highlight a few Instagram accounts that I follow and how they are being successful with their content. Some posts are very long like a full blog length and some are short sweet and to the point, then some are in between. The first one I want to showcase is one of our clients Coach Jessie May she is a branding coach, so her posts have a theme to them and her content is longer on each post. We love that she uses plenty of #hashtags and emoticons on her posts, by having more content she is adding more value for her audience which increase her engagement through likes and comments. The second one I love is Mantra Magazine this is a simple motivational quote that is not very eye appealing BUT has a GREAT message on it. What they did on this post they kept it short and yet gets you thinking and engaging. They used 24 #hashtags on this 1 post and got 1,465 likes and over 20 comment, sometimes keeping it short and sweet is good, asking a question to get your audience commenting always works! The third one I wanted to show you is Boulder Magazine, they used someone else’s image (gave credit) but this image is very creative and thinks outside the box! This is showcasing that listening and watching your audience can be good for your business. Sometimes it is hard to think of NEW, Fresh content everyday, so when you look at your audience and what they are posting you can share their images. Remember to give to give them credit by @mentioning them and thanking them in your post. This post generated 672 likes and over 15 comments! These are 3 different types of businesses here and each of them is using Instagram in a different way. So what I am telling you is test the waters, put a post up that is short sweet and to the point like a motivational image and ask a question, then try a longer post like a blog post and use #hashtags, and then try a repost from someone you are following, see which one gets the most interaction and then you can start building your strategy from there. We recommend posting to Instagram between 3-5 times per week. Instagram takes time, this is the one social media platform (besides Pinterest) that you cannot schedule posts to go out, you have to post manually! There are a few tools out there like Buffer, Hootsuite, LaterGram that allow you to schedule posts on their platforms then they push you a notice on your phone that you need to post your scheduled post to instagram, it’s a little complicated right? So here are a few apps that I love to use when I am creating images for our Instagram account and our clients, most are free but some I have paid for and WELL worth it! There are literally hundreds of image Instagram apps to try, download a few and see which ones you like the most and are easy for you to use. You can also check out some free picture sites to help with background and images. Canva, WordSwag and Pixabay are good for free images. 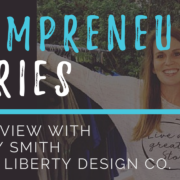 In the beginning it may take more of your time to take images of your products, or download a bunch of free images so you can create a stockpile of them and then just grab and create. Use Pinterest as creative motivation and pick 3-5 businesses that you really like what they are posting on instagram and use them as a guideline. I have filled your head with TONS of content, tips, how to and now it is time for you to step into the Instagram world and get busy! If you are interested in a FREE, yes I said FREE 30 minute consultation with me on evaluating your existing Instagram account or on how to get your business started on Instagram please email me at Marketing@TheBIMSTeam.com I would love to assist you with your success on Instagram!